They will perform with the University of Tennessee Symphony Orchestra on Sunday, March 3, 2019, 4:00pm, in Cox Auditorium. UT School of Music full-time students currently enrolled in applied lessons are eligible for this juried competition for a solo instrumentalist or vocalist to perform with the University of Tennessee Symphony Orchestra. Applications are available in the School of Music office (117 Natalie L. Haslam Music Center). Friday, January 11, 2019 – deadline to return completed application to the School of Music office by 5 p.m. Applications must be submitted to the Main Office on JANUARY 11, by 5 p.m. Applications submitted after that date WILL NOT BE ACCEPTED. The application MUST be physically signed by your applied instructor. No exceptions. All Concerto Competition applicants must be accompanied by a pianist for BOTH the preliminaries and finals. Each contestant is required to provide his/her own accompanist for the audition and must pay the accompanist’s fee by January 15 or 17. Only currently enrolled full-time UT students studying with an applied faculty member in the UT School of Music may enter the competition. Each entrant may enter only ONCE in the competition. A single movement from a concerto for instrumental soloist(s) and orchestra, or single movement/aria for voice(s) and orchestra. There is no time limit on a single selection that has a clear ending (i.e. : one that does not segue to another movement). This category also includes complete works with self-contained multiple parts, like Introduction and Rondo Capriccioso, Psalm and Fugue, Theme and Variations, or Recitative and Aria, for example..
Any piece for instrument/voice and orchestra with multiple movements or sections, totaling no more than 12 minutes. Multiple concerto movements, song cycles/song collections, suites, for example. Orchestral parts must be readily available for purchase (MUCH preferred) or rental. Auditions schedule will be EMAILED by January 14 or 16. It is your responsibility to note the time of your performance. Concerto Competition Preliminaries will be held on January 17 (and January 15, if there are many competitors, and the faculty needs the extra judging time) during the 12:40-1:55 p.m. class time (or longer, if needed), in various locations in the Natalie L. Haslam Music Center. These will be coordinated and announced by area: keyboard, instrumental, string, and vocal. 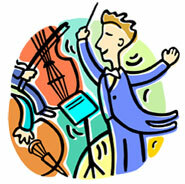 Concerto Competition Finals will be held on January 21 on the James R. Cox Stage, beginning at 1 pm. Please check in at the second floor registration table 15 minutes prior to your scheduled audition time. Please provide TWO photocopies of the musical score with measure numbers marked every 10 measures, for both the Preliminaries and Finals. The Finals jury consists of qualified professionals representing string, instrumental, keyboard, and vocal areas. It will make its selection based upon its opinion of the best performances, regardless of performing medium/area. The jury has the right to hear the entrants’ selection in its entirety, or to stop the performer at any time. The decision of the jury is final. Results will be emailed by Monday, January 21, 2019 to all entrants. Winners must be available for rehearsals with the University of Tennessee Symphony Orchestra a minimum of 2 rehearsal weeks prior to the concert date: MWF, 1:25-3:20 p.m.